What are heirlooms and how can I get them? What kind of heirlooms can I get? Though you can't fill every gear slot with a piece of heirloom gear, you can get pretty close. You'll find shoulders, chests, legs, and helms in cloth, leather, mail, and plate with stats that are appropriate for almost every class and spec. We say almost because there's only one heirloom piece of spell plate for holy paladins - sorry, wannabe holydins! But beyond paladins, you'll find heirloom armor for tanks, DPS, and casters of all classes. You'll also find weapons, cloaks, trinkets, and a single ring. The stats on heirloom items scale depending on the level of the character equipping them. For classes that wear different armor types at different levels - for example, hunters can wear mail at 40, but from level 1 to 39 wore leather - heirlooms of the appropriate type will scale down to the right armor class so they can be equipped. This means you shouldn't buy your hunter leather heirlooms, even if they're under level 40. Most heirlooms - all but weapons and trinkets - offer an experience bonus that stacks, so the more heirlooms you equip, the faster you'll gain experience. 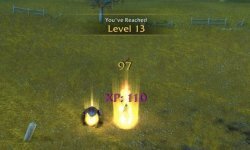 All heirlooms have a cap past which they will not scale - level 80 or 85. 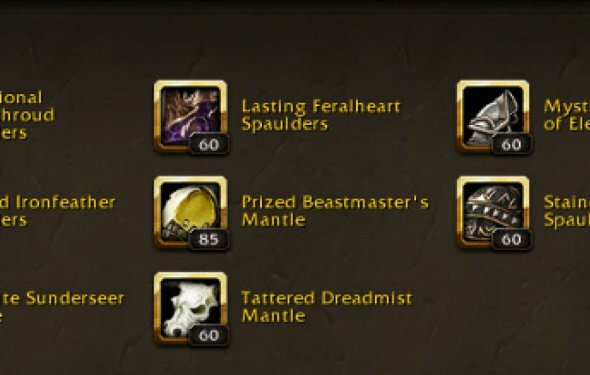 Most level 80 heirlooms can be upgraded to level 85 heirlooms for a price. All heirlooms can be equipped starting at level 1 - even shoulders, helms, and trinkets, which you won't otherwise find in the game until later. Heirlooms don't have a durability stat, which means they never need repairing - something that's certainly good for your bank balance. Buy them with gold from guild vendors. Shoulders, legs, and cloaks are available this way, if your guild is of the appropriate level and has the right achievements. These are level 85 heirlooms. Buy them with Justice Points, which are obtained by doing lower level (Burning Crusade, Wrath, Cataclysm) dungeons and raids. Shoulders, chests, weapons, and trinkets are available in this way from a number of vendors. These are level 80 heirlooms that can be upgraded to level 85. Buy them with Darkmoon Prize Tickets, which you get by doing quests at the Darkmoon Faire. You can get the same shoulders, chests, weapons, and trinkets from the Darkmoon Faire that you can with Justice Points. These are level 80 heirlooms that can be upgraded to level 85. Buy them with Champion's Seals, which you can get by participating in the Argent Tournament in Northrend. You can get the same shoulders, chests, weapons, and trinkets that you can from the Darkmoon Faire or Justice Points. These are level 80 heirlooms that can be upgraded to level 85.